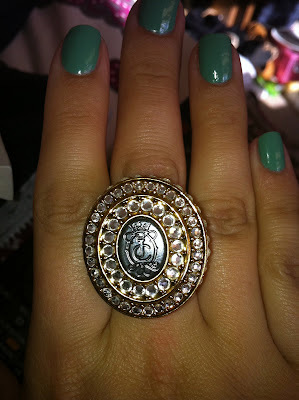 Obsessed By Beauty: Juicy Couture Ring! No doubt you will have all seen this before but I don't care because it's not very often I try something out & want to immediately blog about it. 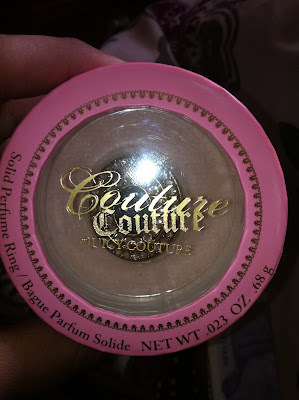 Having tried the original Juicy Couture a few weeks ago I had been told that the Couture Couture smell was even nicer so was looking forward to having a whiff! 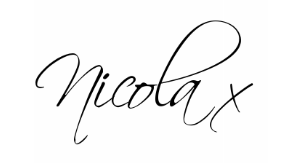 It is amazing, the exact smells that I love from perfumes, base notes of amber, sandlewood & vanilla, with heart notes of jasmine and honeysuckle and top notes of mandarin and orange flower gives the perfect oriental floral scent. I cannot tell you how much I loved this perfume as soon as it hit my skin, it needed no settling & it's a no brainer, one you can spritz & go & know you smell amazing! I have the full size bottle in my perfume shopping basket as I type!! 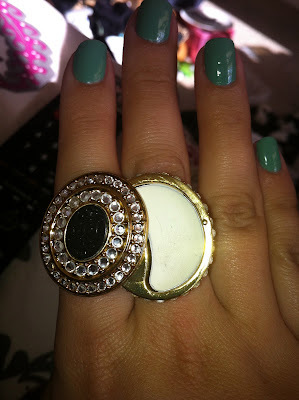 As for the packaging that I have this smell in, I am in love with the ring, it's a completely gorgeous statement ring that is perfect for a night out & you will smell great all night without having to carry round a bottle in your bag. It's such a great gift to give to a girl friend or a pay day treat for yourself if you love the smell. Amazing perfume & an amazing ring. I can't stop smelling my wrist & looking at my hand!! 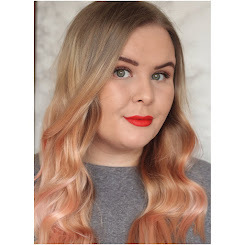 The good news is that Clip On hair Extensions whether clip on or weave shouldn’t cost any more whether they are brightly coloured or more natural in appearance. However, some unscrupulous retailers will charge a premium for bright colours because they’re not normally sold as wholesale hair in large quantities.